Mobile horse trailer servicing and repair is a on-site service which comes to your home, work place or stables, in a time that's convenient with you. 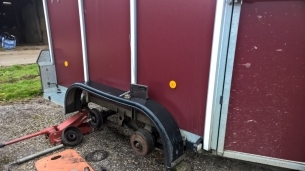 I'm a master trailer engineer with over 35 years experience in trailer design, manufacture and servicing. I supply horse trailer spares and parts for all the major makes and models including Ifor Williams, Wessex, Rice, Equitrek and more. My mobile horse trailer servicing van is fully equipped with a tools and a generator and my work is managed from start to finish to the highest standard. 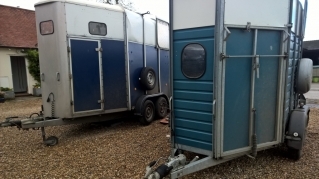 My mobile horse trailer servicing and repair service will undertake all aspects of repair and servicing from, pre purchase inspections, new floors and total rebuilds of braking systems. The most important thing about servicing your horse trailer is to keep it in a road worthy condition. To keep your horse trailer in a road worthy condition and increase it's lifespan, I recommend that you arrange to have your horse trailer serviced with me every 6 to 12 months depending on use.